Boulevard is a neighbourhood in the city of North Vancouver. Click to view Boulevard homes for sale. Blueridge is a neighbourhood in the district of North Vancouver. Click to view Blueridge homes for sale. Braemar is a neighbourhood in the district of North Vancouver. Click to view Braemar homes for sale. Capilano is a neighbourhood in the district of North Vancouver. Click to view Capilano homes for sale. Central Lonsdale is a neighbourhood in the city of North Vancouver. Click to view Central Lonsdale homes for sale. Calverhall is a neighbourhood in the city of North Vancouver. Click to view Calverhall homes for sale. Canyon Heights is a neighbourhood in the district of North Vancouver. Click to view Canyon Heights homes for sale. Deep Cove is a neighbourhood in the district of North Vancouver. 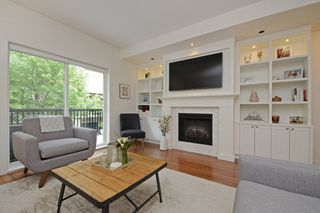 Click to view Deep Cove homes for sale. Delbrook is a neighbourhood in the district of North Vancouver. Click to view Delbrook homes for sale. Dollarton is a neighbourhood in the district of North Vancouver. Click to view Dollarton homes for sale. The Edgemont Village and Capilano Highlands neighbourhoods are some of the most desirable communities to live in North Vancouver. 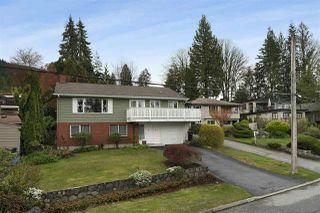 Click to view Capilano Highlands and Edgemont Village homes currently for sale. Forest Hills is a neighbourhood in the district of North Vancouver. Click to view Forest Hills homes for sale. Grouse Woods is a neighbourhood in the district of North Vancouver. Click to view Grouse Woods homes for sale. Hamilton Heights is a neighbourhood in the city of North Vancouver. Click to view Hamilton Heights homes for sale. Hamilton is a neighbourhood in the city of North Vancouver. Click to view Hamilton homes for sale. Indian River is a neighbourhood in the district of North Vancouver. Click to view Indian River homes for sale. Lower Lonsdale is a neighbourhood in the city of North Vancouver. Click to view Lower Lonsdale homes for sale. Lynn Valley is a neighbourhood in the district of North Vancouver. 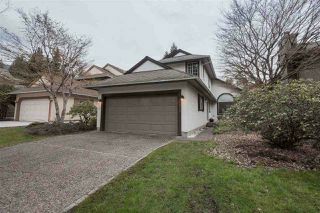 Click to view Lynn Valley homes for sale. Lynnmour is a neighbourhood in the district of North Vancouver. Click to view Lynnmour homes for sale. Norgate is a neighbourhood in the district of North Vancouver. Click to view Norgate homes for sale. Northlands is a neighbourhood in the district of North Vancouver. Click to view Northlands homes for sale. Pemberton Heights is a neighbourhood in the district of North Vancouver. Click to view Pemberton Heights homes for sale. Pemberton is a neighbourhood in the district of North Vancouver. Click to view Pemberton homes for sale. Princess Park is a neighbourhood in the district of North Vancouver. Click to view Princess Park homes for sale. Queensbury is a neighbourhood in the city of North Vancouver. Click to view Queensbury homes for sale. Roche Point is a neighbourhood in the district of North Vancouver. Click to view Roche Point homes for sale. Seymour is a neighbourhood in the district of North Vancouver. Click to view Seymour homes for sale. Tempe is a neighbourhood in the district of North Vancouver. Click to view Tempe homes for sale. Upper Delbrook is a neighbourhood in the district of North Vancouver. Click to view Upper Delbrook homes for sale. Upper Lonsdale is a neighbourhood in the district of North Vancouver. Click to view Upper Lonsdale homes for sale. Westlynn is a neighbourhood in the district of North Vancouver. Click to view Westlynn homes for sale. Winsdor Park is a neighbourhood in the district of North Vancouver. Click to view Winsdor Park homes for sale. Woodlands Sunshine Cascade is a neighbourhood in the district of North Vancouver. Click to view Woodlands Sunshine Cascade homes for sale. Westlynn Terrace is a neighbourhood in the district of North Vancouver. Click to view Westlynn Terrace homes for sale. Situated along Burrard Inlet waterfront in the shadow of the North Shore mountains, the picturesque city of North Vancouver offers a unique 'laid back' community lifestyle, fantastic amenities, outdoor recreation, great neighbourhoods and real estate. North Vancouver, BC is located along the North Shore waterfront of the Burrard Inlet, across the harbour from Downtown Vancouver. It is comprised of two municipalities: the City of North Vancouver and the District of North Vancouver. North Vancouver offers a distinct laid back North Shore lifestyle, great amenities and outdoor activities with the highest fitness level of any city in Canada and some of the best real estate options in Greater Vancouver. Although North Vancouver has significant industry such as shipping, chemical production, and film production, it's usually still considered a suburb of Vancouver, BC. The City of North Vancouver is relatively densely populated, with the residential core and many condo buildings in the Central Lonsdale and Lower Lonsdale areas. The city has much in common with the District Municipality of North Vancouver and West Vancouver. Together these three municipalities are commonly referred to as the North Shore. The City of North Vancouver is connected to Vancouver by the Lions Gate Bridge and the Ironworkers Memorial Second Narrows Bridge. The Trans-Canada 'upper levels' highway also passes through the area and a SeaBus passenger commuter ferry connects North Vancouver's Londale Quay to downtown Vancouver. Lower Lonsdale offers its residents the best combination of downtown living with North Vancouver’s waterfront lifestyle and top ranking walkscores. Central Lonsdale is located close to a vast array of amenities, large grocery stores, major banks, restaurants, newly constructed City Library and much more. Grand Boulevard is a 105 metres wide,1.6 kilometre long suburban garden development in a residential section of the City of North Vancouver. The Queensbury neighbourhood was one of the first developed in North Vancouver. Located south of Keith Road below Grand Boulevard and east of Lower Lonsdale. Calverhall is a semi waterfront community which sits below Grand Boulevard and Westlynn, between the Queens and Lynmour neighbourhoods. Looking for North Vancouver homes for sale and the best North Vancouver real estate property listings? Browse all the MLS® property listings currently for sale below, choose a tab below to search North Vancouver homes for sale, North Vancouver condos for sale, North Vancouver townhomes for sale or click on a listing for additional property details. Please contact us if you are interested in viewing a property or listing your home for sale in North Vancouver. The vision of the North Vancouver School District #44 is to provide world-class instruction and a rich diversity of engaging programs to inspire success for every student and bring communities together to learn, share, and grow​. With over 15,000 students enrolled in Kindergarten to Grade 12 and over 740 early learners, the North Vancouver district provides a comprehensive K-12 education program consisting of over 200 provincial and locally developed educational programs and services in the Humanities, Mathematics/Sciences, Physical Education, Fine Arts and Applied Skills. See the links provided below for more North Vancouver schools and district information. North Vancouver Real Estate Questions? Dale McGauran and Dan Pigott are top North Vancouver REALTORS® and your local real estate market specialists. We feel passionate about not only living here with all this natural beauty at our doorstep but fortunate and privileged to buy and sell real estate on Vancouver's North Shore. We really look forward to hearing from you and helping you find your perfect North Vancouver neighbourhood... and the perfect home for you in North Vancouver! How's North Vancouver real estate? Find out with Market Snapshot. Access live MLS activity, sold homes pricing trends, listing-to-sales ratios, new property listings, and housing statistics for any North Vancouver neighbourhood or find the local market value for your property.